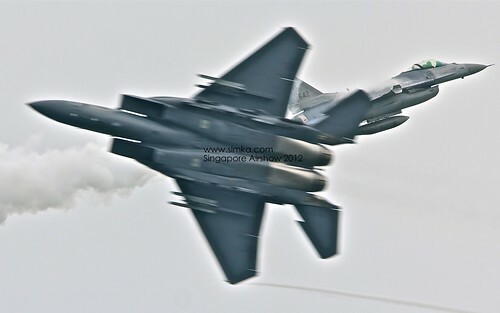 2012 is the year for Singapore Airshow again. This year aerobic features was lesser than 2010 but still equally exciting. For public visitors, they may feel a bit disappointed as Jacky Chan's plane and B-787 (Z-003) was not on site on the public days. (At least the B-787 waved good bye on Sat). Especially on Sunday the B-52 did not appear in the morning show. And the afternoon show was changed to RSAF display only. But this year transportation to the event hall was fantastic, thumbs up to SA2012 organizers, SMRT buses and all the friendly part timers. The queue was long but smooth, buses frequency were high so even you have to stand, it was not packed.